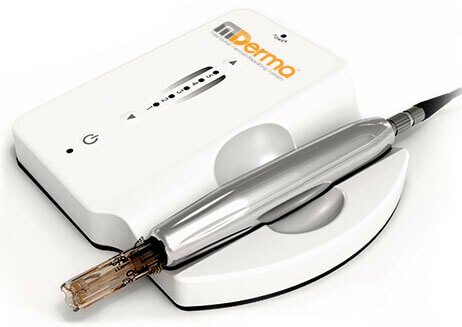 The MDerma™ needling device is applied to the skin causing micro trauma to the problem area. 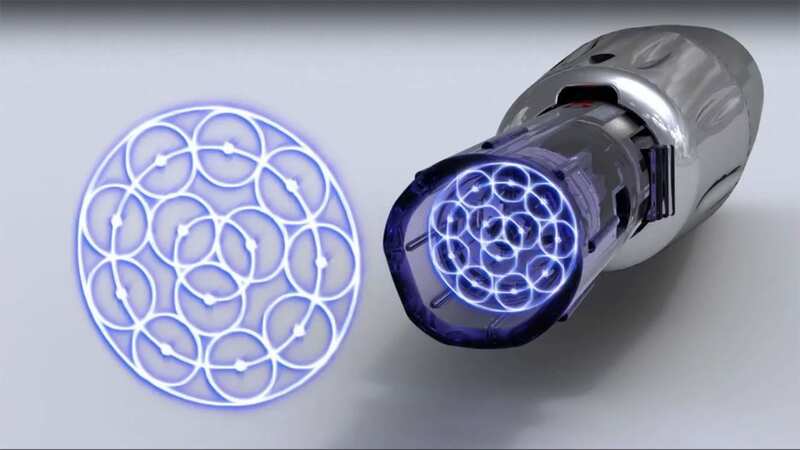 The MDerma™ uses sterile, sealed individual and disposable needle cartridges to optimal patient safety. Every cartridge has multiple needles, with proprietary technology, penetrating vertically generating small micro skin channels, while stimulating the natural production of collagen. These channels carry up to 80% more topical nutrients, allowing penetration deep to the skin fibroblasts, feeding the cells found in the dermis and the basal layer. This increases the absorption of active ingredients into the skin, stimulating the repair at a cellular level and accelerating the regeneration of the skin’s epidermal cells. The treatment is similar to laser treatments, but without the severe side effects or the long recovery time. There are some studies that show it is more effective than traditional microdermabrasion and chemical peels. The disposable needles reduce the risk of cross-contamination and the adjustable depth allows treatment that is adaptable to individual needs. 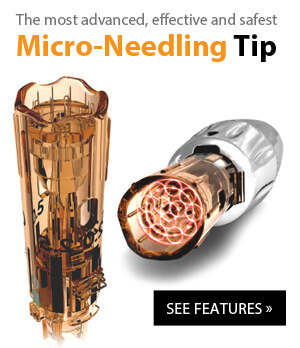 I have been utilizing a micro-needling device over the last two years. Recently I was able to try the new tip with the scalloped edge. Wow! Words cannot express how happy I was with the new tip. The scalloped tip glides easily over the skin with no dragging or catching. I also was able to use less HA serum as the product does not get pushed around the skin. This tip by far exceeds my expectations! With this new improved tip the treatment is much more enjoyable for the patient!